Priced to sell! Perfect single level 4 bedroom 2 bath home located in the highly desirable neighborhood of Sierra Verde. Within walking distance of 10/10 rated Sierra Verde Elementary school. 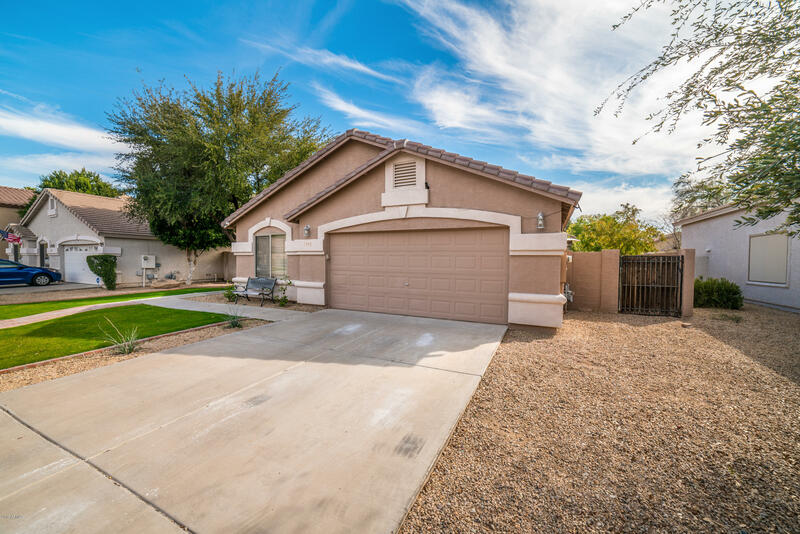 Home features open concept living space with gorgeous kitchen boasting granite countertops, large island, updated backsplash and pendant lighting. Generous sized bedrooms with white plantation shutters throughout. Master bedroom has separate sliding door to outside, bathroom features separate tub and shower and large walk in closet. Amazing yard for entertaining. Large covered patio with misting system, play pool and great grass area including dog run with playground! New Ring alarm system and doorbell, new energy efficient pool pump 2018. YOU DON'T WANT TO MISS THIS ONE!